Tyrone Peachey, Blake Ferguson, Angus Crichton and Jesse Ramien. THE salary cap makes it impossible for clubs to hold onto all their players from season to season and player movement has been massive in 2018. Phil Gould's emotional farewell earlier this month to departing Panthers Tyrone Peachey and Corey Harawira-Naera showed how hard it is for clubs to see players leave. But one club's loss is another club's gain. With the exception of retirement, who has been the biggest gain and the biggest loss at your club? The Dally M winger of the year, a premiership winner and the biggest metre eater in the NRL with a competition leading 5039 run metres will be impossible to replace. One of the toughest players in the NRL, Crichton has played 50 games for club and state in the past two seasons, won an Origin series and finished within a game of a grand final. 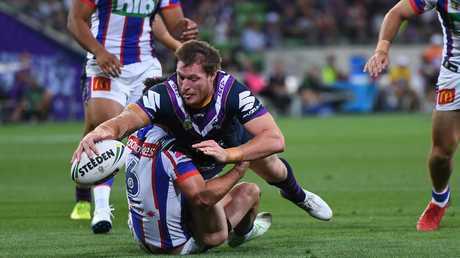 A seasoned prop who played 110 games in the engine room for the Storm and three games for the Maroons will join the Knights next season on a three-year-deal. Such is the depth in the Storm system that they had to re-sign from within, but keeping Drinkwater out of the clutches of circling NRL clubs was vital. The Origin rep debuted for the Rabbitohs but he will join their bitter rivals and premiers the Roosters on a three-year deal. The former Broncos prodigy was selected at fullback in the Australian Prime Minister's team to play Papua New Guinea, which is evidence enough of his potential. At the tender age of 21, Ramien scored 10 tries in 20 games in his first full season in the NRL and has the potential to be one of the game's next superstars. The wily 32-year-old veteran has scored a mammoth 123 tries in 263 games, including nine in 20 games for the Bulldogs last season to show he has plenty left in the tank. The Panthers utility came of age in 2018 securing well-deserved call-ups to the Blues and the Kangaroos and his loss was a bitter pill to swallow for Penrith boss Phil Gould. The former Panther returns home after four seasons at the Rabbitohs and the Tigers and with 189 games of first grade to his name, he will add experience and depth to the team's forward stocks. The Dragons-bound prop had one of his most consistent seasons of first grade for the Broncos and they will miss his 120 games of experience in a young pack next season. It has yet to be confirmed, but the Broncos are believed to have lured the Roosters' halfback to Red Hill in 2019. He showed plenty of promise in his try-scoring debut against the Titans. The 28-year-old veteran of 179 NRL games and 17 internationals played 25 games in 2018 and will be a tough man to replace in the Dragons' engine room. The former Knights and Broncos' enforcer has the potential to breathe more fire into the Dragons' pack and join forces with Tariq Sims as a bash brother in 2019. Given Shaun Johnson and Blake Green's injury history last season, Lino could be very hard to replace if the injury curse strikes the halves again in 2019. The retirement of Simon Mannering leaves a massive hole in the Warriors pack and Ah Mau will add experience to Stephen Kearney's promising young list of forwards. 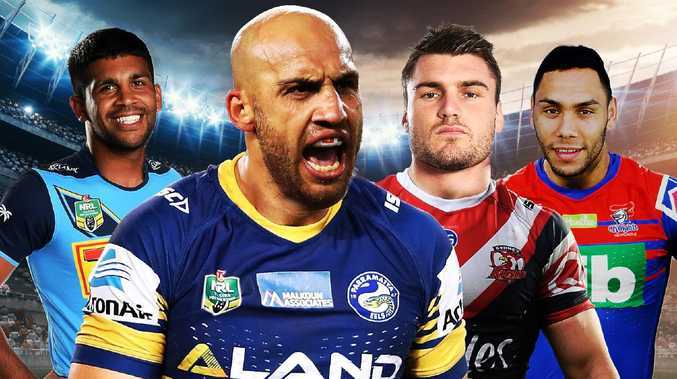 The veteran of 113 games has scored 51 tries in the NRL and will no doubt score plenty more in the Super League when he joins St Helens in 2019. The former Rooster is coming off a premiership win and with 60 NRL games to his name Matterson has the ability to take his game to the next level in 2019. 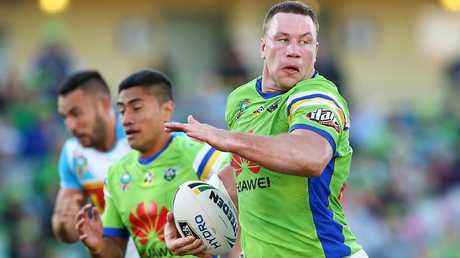 The man mountain is off to the Titans next season and with 111 first-grade games and four Tests for his country, Ricky Stuart will struggle to fill his big shoes in the middle. The 23-year-old former Wigan prop has scored 11 tries in 118 games for the Warriors and will help fill the void left by the departures of Shannon Boyd and Junior Paulo. The 21-year-old scored two tries in five games for the Knights and his move to the Bulldogs could come back to bite Newcastle if Kalyn Ponga makes the shift to five-eighth. The former Sharks' centre could prove to be one of the buys of the year and his uncompromising defence will be a real plus for a side who struggled in that department last season. The Roosters-bound winger has scored a whopping 146 tries in 237 NRL games and the Bulldogs will miss him, given they have struggled to score points in recent seasons. The boom second-rower has scored 13 tries in 46 games in his first two seasons in the NRL and will add much-needed starch to the Bulldogs pack. He didn't have his best season, but St Helens-bound Coote was a member of the 2015 premiership side and has scored 58 tries in 166 games in the NRL. Potentially the buy of the year, as the former Dally M Medal winner returns to the NRL after winning the Man of Steel Award in the UK Super League. 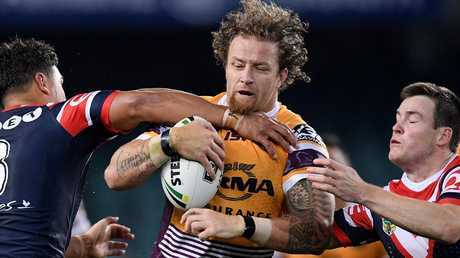 The 24-year-old has scored 15 tries in 46 NRL games and he provided valuable depth for the Titans' young halves stocks. Another early favourite for buy of the year, Peachey has scored 41 tries in 116 games and his ability to cover as many as seven positions is a coach's dream. The 31-year-old will join Huddersfield and while his best days are probably behind him, his 129 tries in 200 games in the NRL will not be easily replaced. The Sea Eagles are better when Daly Cherry-Evans has a playmaker beside him in the halves and Elgey has the opportunity to fill the void left by Blake Green's departure to the Warriors last season. He's not be coming off his best season, but Huddersfield-bound Matagi has 101 NRL games of experience and has played nine internationals for Samoa and New Zealand. they will miss his big body in the middle. Has the potential to be the Eels' most important signing in years and they will benefit from his energy in defence and kick returns. He has also netted 102 tries in 192 games, which will help.